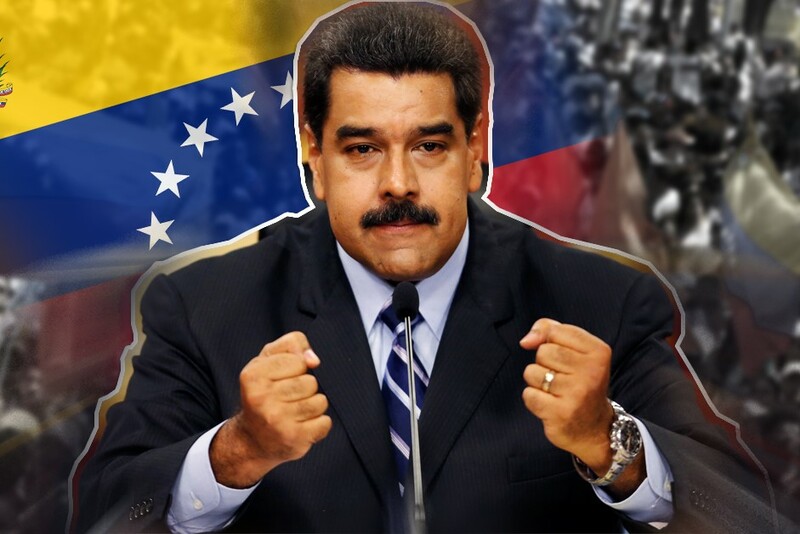 Will Nicolas Maduro be ousted? Venezuelan opposition leader Juan Guaido declared himself the country’s interim president on Wednesday amid mass protests against leader Nicolas Maduro. US President Donald Trump quickly backed Guaido as the interim leader, and said he would use "the full weight of United States economic and diplomatic power to press for the restoration of Venezuelan democracy". "We encourage other Western Hemisphere governments to recognize National Assembly President Guaido as the Interim President of Venezuela, and we will work constructively with them in support of his efforts to restore constitutional legitimacy. "We continue to hold the illegitimate Maduro regime directly responsible for any threats it may pose to the safety of the Venezuelan people," Trump added in a statement. Chile, Colombia, Paraguay, Peru and Argentina were among other countries to recognize Guaido as interim president. France said it was consulting with its European partners about the situation. Guaido's declaration came after the Venezuelan National Assembly on Tuesday announced its takeover of the executive power. Calling on Venezuelans to protest, the body demanded the establishment of a "transitional government" to organize new elections. Venezuelan opposition sympathizers had been urging Guaido to assume the presidency since Maduro was inaugurated for a second term earlier this month following a widely-boycotted election last year, marred by widespread allegations of vote rigging. Guaido, 35, is a newcomer on the national scene who was elected to head Congress on January 5. He had previously said he was willing to replace Maduro if he had the support of the military, with the aim of then calling for free elections. His declaration on Wednesday came amid mass street protests, with hundreds of thousands of Venezuelans taking to the streets in anti-Maduro demonstrations, demanding he step down. Maduro remained defiant on Wednesday, calling on the country's military to maintain united and disciplined. "We will triumph over this as well, we will come out victorious," he told supporters outside the Miraflores presidential palace in Caracas. Venezuelan Defence Minister Vladimir Padrino said via Twitter that the country's armed forces disavow any president who is self-proclaimed or imposed by "dark interests." This content is available for logged in users only. Vbet.com is operated by Radon B.V. (Commercial register of Curacao no.126922) under a sublicense CIL pursuant to Master gaming License №5536/JAZ. Play responsibly.